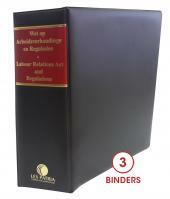 A complete collection of primary and secondary legislation relating to the Labour Relations Act. The print subscription includes a free mobile version as well as updates for 12 months (print and mobile). The Labour Relations Act, No. 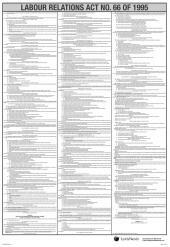 66 of 1995 is published together with Regulations, Rules of Court and Procedural Timetables, Notices, Practice directions, a Table of Cases under that Act and an Index. Also available in Afrikaans. Updated quarterly.